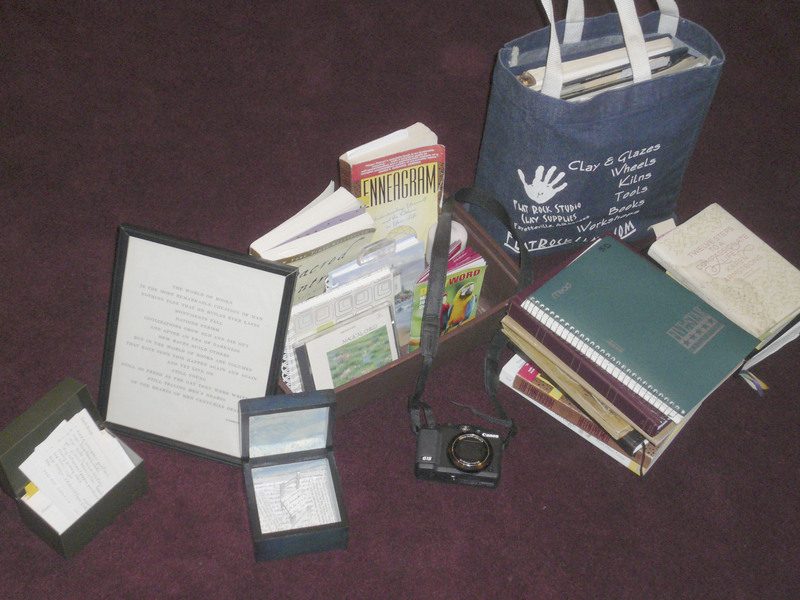 At the NWA Friends of Jung we celebrated the end of our year of study of Wisdom Tools by bringing our own Wisdom Toolboxes/Bags to share. Some of them were virtual toolboxes, but above is a pic of some actual ones. The common denominator seemed to be books and words! “Of course, you can’t unfry an egg, but there is no law against thinking about it. I would have more actual troubles and fewer imaginary troubles. You see, I have been one of those fellows who live prudently and sanely, hour after hour, day after day. Oh, I have had my moments. But if I had it to do over again, I would have more of them – a lot more. I never go anywhere without a thermometer, a gargle, a raincoat and a parachute. If I had it to do over, I would travel lighter. It may be too late to unteach an old dog old tricks, but perhaps a word from the unwise may be of benefit to a coming generation. I may help them to fall into some of the pitfalls I have avoided. I would seek out more teachers who inspire relaxation and fun. I had a few of them, fortunately, and I figure it was they who kept me from going entirely to the dogs. 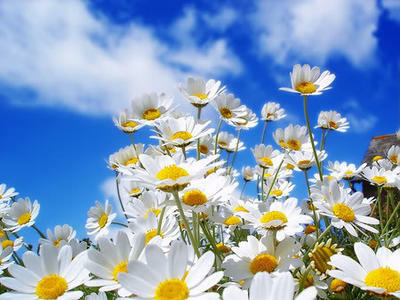 From them I learned how to gather what few scraggly daisies I have gathered along life’s cindery pathway. If I had my life to live over, I would start barefooted a little earlier in the spring and stay that way a little later in the fall. I would play hooky more. I would shoot more paper wads at my teachers. I would have more dogs. I would keep later hours. I’d have more sweethearts. I would fish more. I would go to more circuses. I would go to more dances. I would ride on more merry-go-rounds. I would be carefree as long as I could, or at least until I got some care – instead of having my cares in advance. More errors are made solemnly than in fun. The rubs of family life come in moments of intense seriousness rather than in moments of light-heartedness. If nations – to magnify my point – declared international carnivals instead of international war, how much better that would be! The soundness of an action or decision with regard to the application of such experience, knowledge, and good judgment. 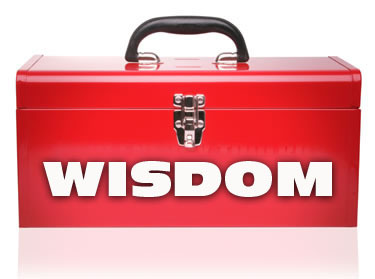 Our topic at the NWA Friends of Jung for this coming year will be Know Thyself: The Wisdom Toolbox. We’ll be discussing various tools for inner work such as dreamwork, active imagination, free association, the enneagram, typology, meditation, creative expression, ritual, prayer, spiritual practice, mindfulness, retreat, soulcraft, journaling, and others. Please comment on this post with any thoughts or further ideas about this topic, for ongoing discussion between meetings.